Home › running › Marathon Training Week 6, along with my excuses for the weekend! Marathon Training Week 6, along with my excuses for the weekend! My Son's 9th Birthday! HAPPY BIRTHDAY BRYCE! 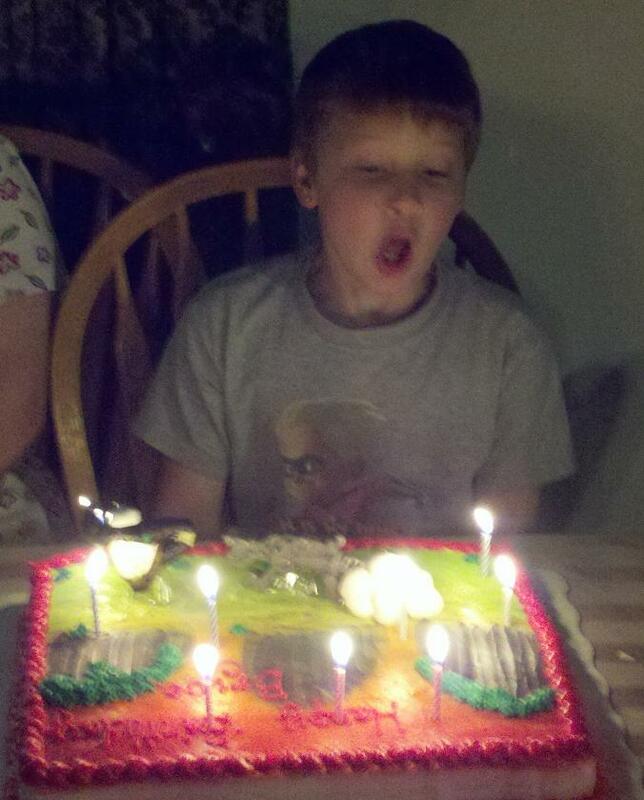 My Son turned 9 yesterday, and had a VERY busy Birthday weekend! So Sunday turned in to “Spend quality time with the Birthday Boy at home” — Which is as it should be (since it is what he wanted.) We played “Bey-Blades,” PS3, ate cake and food and had a great ‘ole time. I didn’t exactly meet my running goals – but it was a “Drop-back” week of only 7 miles, and we have to keep what is important in sight. Did I miss running a road-race? Certainly. But would I have missed my son’s “Special Family Breakfast” more? Absolutely! As a bonus – my Achilles is feeling GREAT! We will see how tight it is when I hit the road tomorrow! We WON’T be discussing this weekend’s diet or any weight gain/loss for the week. This is post Number 85, the winner will be announced in just 15 more posts! ‹ It’s time for “Freaky Friday!” More strange things found around the Interwebs! Posted in running, Week in REVIEW!